Presented Monday afternoon, June 26, 2017, 1:20 pm. 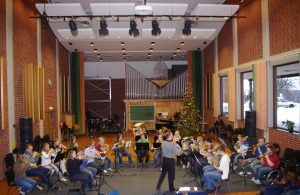 Each week, local music groups in Norway use more than 10,000 rooms for rehearsals and concerts. Over 500,000 people sing, play or go to concerts every week. In Europe, over 40 million choir singers spend at least one evening in a rehearsal room. Professional musicians and singers use rehearsal rooms many hours a day. Most of the local concerts take place in rooms that are not designed for concert events, but are in schools, community centers, youth clubs and other rooms and spaces more or less suitable for playing music. The size of the rooms varies from under 100 to over 10, 000 cubic meters. The users cover a broad variety of music ensembles, mostly wind bands, choirs and other amateur ensembles. 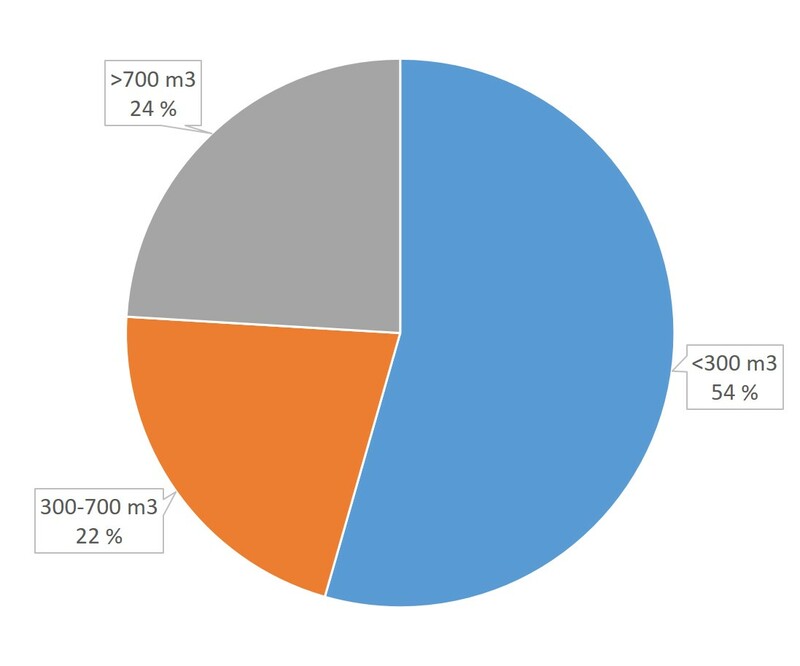 Since 2009, the Norwegian Council for Music Organizations (Norsk musikkråd) has completed more than 600 acoustical room measurement reports on rooms used for rehearsal and concerts. All the reports are made available online with a Google Map of Norway (http://database.musikklokaler.no/map). The results are depressing: 85 % of the rooms are not suited for the type of music for which they are used. A faulty type of acoustics can enforce the music ensemble to adapt to wrong balance between the instruments, making the musical interaction much more difficult and reducing the possibility for developing a good sound – both for each musician and for the orchestra or choir as a whole. Acoustically soft music, such as singing and playing instruments that are relatively quiet, such as string instruments, guitars etc. and smaller woodwind ensembles. Acoustically loud music, such as playing brass instruments and percussion instruments, brass bands, concert bands, symphony orchestras and opera singing. Amplified music, such as pop/rock bands, amplified jazz groups etc. The Norwegian Standardization Organization established a working group, with participants from the Council for Music Organizations in Norway, the music industry, municipalities, acoustic consultants, The Union of Norwegian Musicians and others. Together, this group has developed the National standard, “Acoustic criteria for rooms and spaces for music rehearsal and performance” NS 8178:2014. Too small a volume turns out to be the main problem for many ensembles. 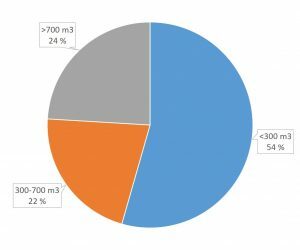 A survey of Norwegian choir rehearsal rooms shows that 54% of the rooms are excessively small (less than half the size they should have been), 22% are too small and only 24% have more or less enough volume. Figure 1.: Query Norwegian singer’s organization, spring 2016. Rehearsal room size. For wind bands, we see more or less the same situation where the rooms are in general too small. In music schools, there are also many studios that are too small. The result is that the music is far too loud, and it is very difficult to work with sound quality and dynamic expression. This criterion poses not so many problems, apart from the fact that the room height is often too small, particularly in rehearsal rooms, but also in a number of concert rooms. A low ceiling is bad for the sound quality of the instruments and makes it difficult to hear each other. There are often problems with the reverberation time, different for each of the three types of music. For acoustic soft music, the reverberation time should be relatively long in order to give support to the music, but it is very often too short in rehearsal and concert rooms. For acoustic loud music, the reverberation time should be moderate in order to avoid the music to be too loud, but it is often too long – or sometimes too short. For amplified music, the reverberation time should be short, and this is quite often the case. However, it is especially important to have sufficiently short reverberation time in the bass (the low frequencies); otherwise the music makes an unpleasant booming sound. The Norwegian standard provides a basis for better design of new music rooms. The systematic collection of acoustic reports of music rooms gives important background for recommendations on how to build or refurbish rooms for music in schools and cultural buildings.